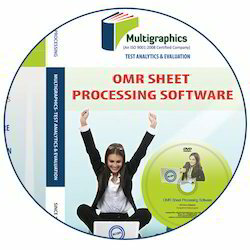 We are a leading Manufacturer of online test series, omr software, omr software services, omr answer sheet checker software, omr software (o-scan software ) and omr evaluation software from New Delhi, India. 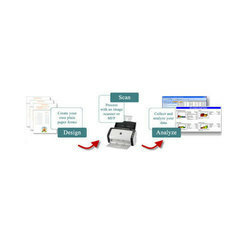 OMR Software is a computer software application that makes OMR possible on a desktop computer by using an Image scanner to process surveys, tests, attendance sheets, checklists, and other plain-paper forms printed on a laser printer. 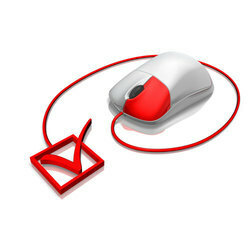 Leveraging on our years of experience, we hold expertise in developing OMR Software Services. Our offered services are executed as per the needs of our esteemed clients under the stern direction of our skillful professionals using modern techniques. The OMR Software (OMR Answer Sheet Checker) is a very simple to use OMR evaluation software for the evaluation of MCQ (Multiple Choice Questions) based objective answer sheets used in various competitive exams. It is a complete replacement alternative to costly OMR scanners. What is Oscan Omr Software? Oscan Omr software is world's fastest OMR Evaluation Software, The software developed by IITans of Multigraphics, Oscan is compatible with any normal ADF scanner and give you desired result in three easy steps. Oscan trusted for 100% accuracy level, silent features of Oscan makes software unique and superior from other OMR software’s. An advance feature of Oscan helps to read the data of even partially damaged sheet. 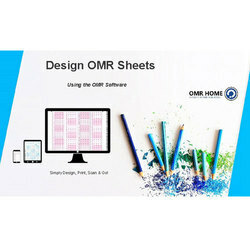 Design Omr sheet as per your requirement, take the test, scan the sheets, and choose the template and Processed. You will get 1000 students of results in 10 minutes with scan images in right and wrong manner according to your answers key. No extra manpower qualified staff required for operating, a beginner can learn it in just half an hour. 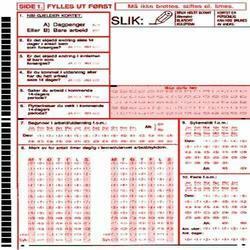 Independently set your marking, negative marking, bonus marking. Oscan +3000 Omr Sheet Scanning Software is only software, which co-relates the post & pre examination activities by visualizing the mismatch & takes the corrective steps to eliminate the error. Output images of scanned Omr Sheets marked with right for right answer, wrong with wrong with answer key of each right answer. Small window, which can be zoomed, is opened during the mismatch check. Oscan also reads the partially damaged sheets, damaged during the exams, Oscan first align the skewed Omr Sheets & then it reads. Oscan is the only Omr Sheet Scanning Software has this unique feature. Oscan +3000 speed is excellent without effecting the accuracy & cannot be matched by any software. Template designing is very simple & easy. OCR/ICR is the added advantage to match the hand written data & Omr filled Data. Oscan +3000 is the complete software for pre & post examination activities, simple online training is required to operate the software. In Scano Software, after the Analysis of OMR Sheet, it tick marks for right answer on the image of OMR Sheets. Nobody can challenge that he was zero marks for right answer, client will show his OMR Sheet Image on with right answer. Oscan OMR software is world's fastest OMR Evaluation Software, The software developed by IITans of Multigraphics, Oscan is compatible with any normal ADF scanner and give you desired result in three easy steps. Oscan trusted for 100% accuracy level, silent features of Oscan makes software unique and superior from other OMR software's. An advance feature of Oscan helps to read the data of even partially damaged sheet. 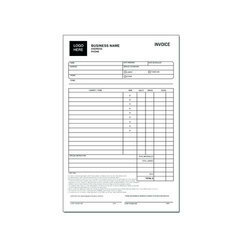 Our repute in the market is largely attributable to our popular Custom Carbonless Invoices Printing service. Under this service, we print invoices in different lengths sizes and colors as per the needs of the clients and are designed using best quality paper and ink.